Been few months since I posted something, not because I had nothing to do, but because of a number of projects I committed myself to help with1. Thanks to my job, I don’t have to commute during the rush hour, so I actually enjoy my twenty minutes spent in the metro; for me it’s the perfect time to go through my book list! Three years ago I bought an apartment, which gave me opportunities to do some home improvement… but also made me realise how impractical it was to not have a vehicle: Having to pay a premium for deliveries of goods and materials that forces you to be at home a particular day ‘between this and that’ is not particularly practical. Renting vehicles is expensive and not practical from a timing point of view, and being a member of a car pool comes with a whole bunch of issues as well. So we decided to look for a vehicle to buy. I wanted something reliable, roomy, that would be ok to keep in the snow and cold when not being used, that would not be an obvious target for a thief, would not cost premiums in terms of insurance, and before all would not cost me a arm and a leg in buying price. After looking at the prices of new vehicles on the Norwegian market, I had to admit that the prospects were grim: Due to the almost 80% import tax on vehicles the prices gets absolutely ridiculous. So we decided to look at second hand vehicles. The second hand market is much more affordable, and actually has interesting vehicles. Of course second hand means that the vehicle may have been mistreated and may cost you a lot in repairs and parts. This is when I heard of the Veteran cars benefits2! Basically, in Norway any vehicle more than 30 years old is called ‘Veteran’. Veteran cars benefit from a number of things, like cheaper yearly fees, cheaper insurances, a bit more leeway about following the regular technical control. An obvious issue is that it makes them more prone to failure, and it may be difficult to find parts for them. One has to be careful! So I started to look on finn.no for vehicles in the Oslo area first registered in 1983 or earlier. There were some funny results, including some Citroen 2CV or DS, old American classics (Cadillac, Deville, Chevrolet El Camino and Corvette), Jeeps, Lotus Seven, Peugeot 404 station wagon, … but some of these cars were still in the 200 000 kroner price range! Show me all the vehicles of type station vagon/suv/pickup/other that are more than 30 years old and have a maximum price of 20 000 kroner. That's where all these military vehicles appeared! Have you ever dreamt of playing like Romel with a Half Track? You can find some on finn. More seriously, after looking a bit more around, I kept coming back to these funny Norwegian field cars, thinking that this may actually be what I wanted. 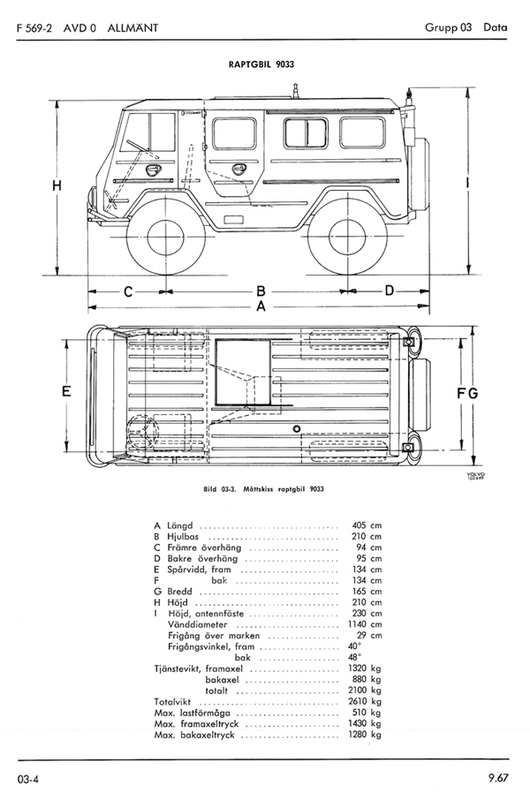 In the early 1950s Volvo received an order to develop a new utility vehicle for the Swedish Army. Full scale deliveries of the somewhat improved L3314 began in 19633. The Norwegian Army adopted a version called the L3314N with a fold-down windscreen and 24 volt electrical system to comply with NATO regulations. About 2,000 vehicles were purchased and assembled at Raufoss in Norway4. In summary, these vehicles were owned by the Norwegian army, and used to move soldiers around on the field. These had a soft top that could be folded and stored rolled under the front windshield. There was also hard top models, often used as field ambulances. At some point the Norwegian army decommissioned the Volvo feltvogn and they were then sold as military surplus. They have amazing off-road abilities, so they have quite many users making it relatively easy to find documentation, parts, and help forums. The interesting thing, is that this B18 engine was also used on a number of older Volvo cars which are considered as collector and relatively sought-after, which means that finding parts for the engine is actually not much of a problem. So this was decided: It was the ultimate vehicle: Noisy, old, unforgettable, but also almost undestructible, easy to repair, cheap to buy, practical, can go everywhere and would make all your friends look at you and ask ‘Why, oh why !! !’.